Mother's Day is right around the corner and finding the perfect gift for someone so important is no easy task! While we are all sold out for our Mother's Day Lunch, we still have plenty of wonderful options to treat Mom to the experience of Park Winters. Read below for some inspiration! Mom should be celebrated every day of the year! Luckily, our Farm Dinners are scheduled several times a month, and rooms at the Inn are available for booking throughout the year! The Park Winters gift certificate can be used towards either experience (and more! ), giving her the freedom to redeem when she's truly in need of a relaxing retreat. Treat your Mom this Mother's Day to this very special workshop with succulent expert Noelle DeMartini of Succulents by Noelle DeMartini and Sweet Pea's Nursery! In this one hour workshop, you will create a one-of-a-kind succulent wreath, learn tips and enjoy the beauty of the land around us. We only have a handful of tickets left... click the button below to purchase before they're all gone! Mom has probably made you more than a few meals in your lifetime... give her a break and make something special for her this Mother's Day. This light recipe we shared last Fall is the perfect appetizer for brunch, although we suggest switching out the fresh fig (which is out of season) with a freshly hulled and halved strawberry. And, to make it extra special, gift her with her very own jar of our delectable fig jam! 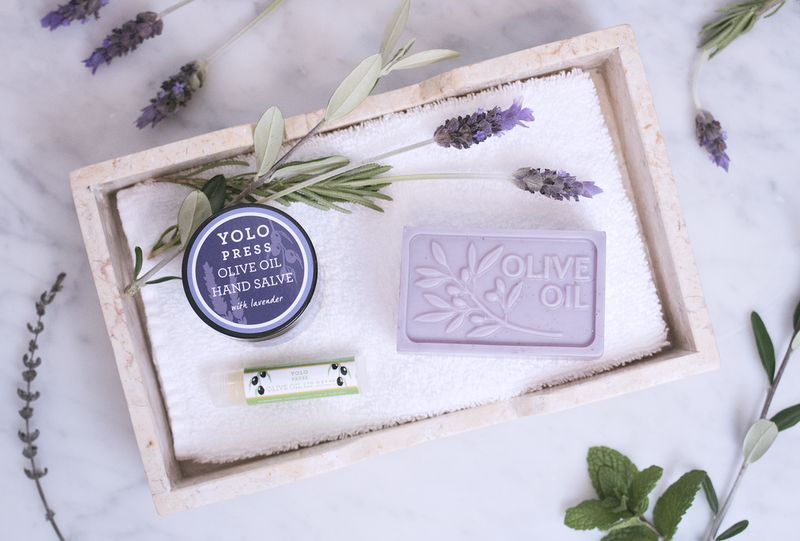 Our online marketplace Simple Country Luxury carries a selection of wonderful, locally-made artisan goods... including luxurious soaps and body butters by Yolo Press! Find a unique vanity tray, add an embroidered hand towel, lavender-mint soap, body butter and lip balm, and finish off with a few sprigs of fresh lavender for an extra special presentation! We are in full fig mode these days, with the abundance of fruit peaking in Fig Forest, and the kitchen hard at work making batch upon batch of our amazing fig jam! We've whipped up this fun and easy recipe, perfect for a Fall cocktail party. Heat broiler. Brush both sides of baguette slices with oil; place on a rimmed baking sheet. Broil until golden, 1 to 2 minutes per side; set toasts aside. Dividing evenly, spread each toast with goat cheese, and top with fig jam. Place one basil leaf, and one fig quarter on top. Drizzle with olive oil, season with salt and pepper.